Bent crystals can be used to deflect particle beams, as suggested by E. Tsyganov in 1976. Experimental demonstrations have been carried out for four decades in various laboratories worldwide. In recent tests, a bent crystal inserted into the LHC beam halo successfully channelled and deflected 6.5 TeV protons into an absorber, with reduced secondary irradiation. Quasimosaic crystal for the LHC (developed by PNPI). Strip crystal for the LHC (developed by INFN). 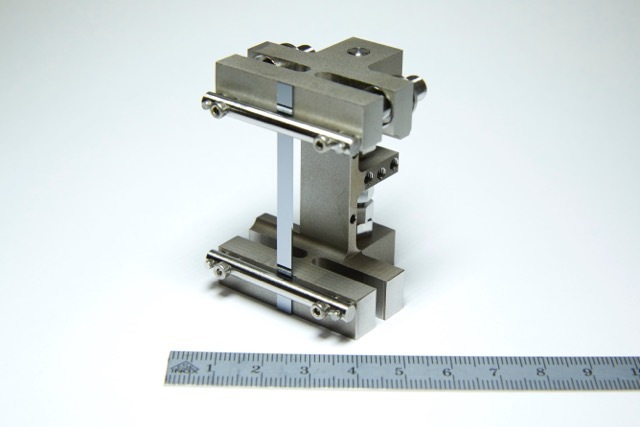 A full-size collimation system using a bent crystal as a primary deflector was initially installed in the SPS to evaluate the effectiveness of the technology and to provide a quantitative estimate of collimation inefficiency with proton and lead-ion beams. High-resolution goniometers built at IHEP were installed in the SPS vacuum pipe to orient the crystal planes. Loss rates were measured using detectors based on scintillation radiation built by INFN-Roma1 and installed around the beam pipe. Cherenkov radiation detectors built by PNPI, LAL, CERN and INFN-Roma1 were inserted into the vacuum pipe to intercept deflected beams and Medipix detectors were inserted into Roman pots. Goniometers with sub-microradian accuracy, required for the LHC, were developed in cooperation with the EN/STI group and industrial partners in Italy, Switzerland and Germany. 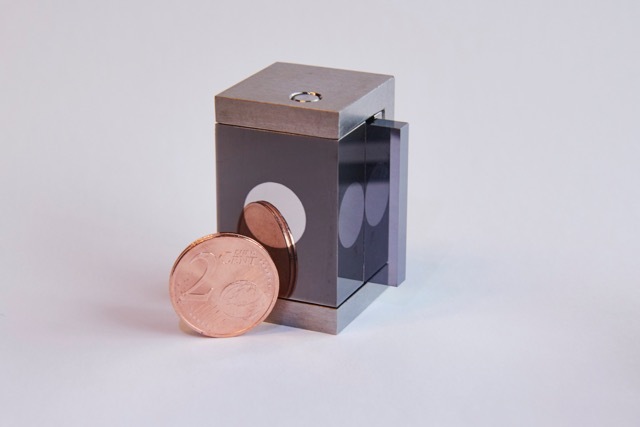 “Tests with stored beams – that is, stable beams kept at high energy – demonstrated the feasibility of crystal-assisted collimation and a reduction by an order of magnitude of the very dangerous background induced by inelastic interaction in the primary collimator,” says Scandale. “After many years of intense work and important results, UA9 proved that the bent crystal technology was mature enough for investigating high-efficiency collimation in the LHC. The LHC goniometer uses a piezoelectric rotational device. These initial tests at reduced beam intensity were extremely successful. Higher intensity tests are being prepared to clarify if bent crystals could improve the baseline LHC collimation as a further step towards the collimation upgrade in the High-Luminosity LHC project.